The first fully expandable mixer of its kind! 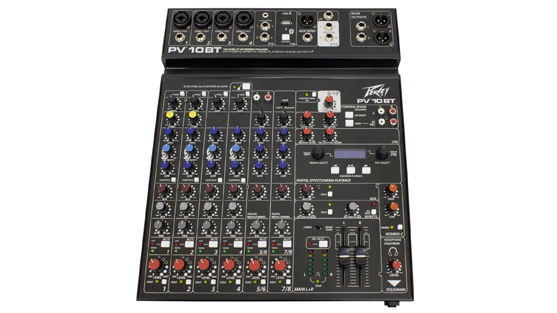 Building on Peavey’s 50+ years of innovation and pro audio know-how, the UNITY DR 16 is the first digital mixer of its kind to be fully expandable. Start with a single UNITY DR 16 and expand the channel count by adding another unit. Add Dante for audio networking. The UNITY Series grows with your pro audio needs. Control the mixer from any iOS/Android/Win/Mac device, whether you are running front of house or your own monitor mix. 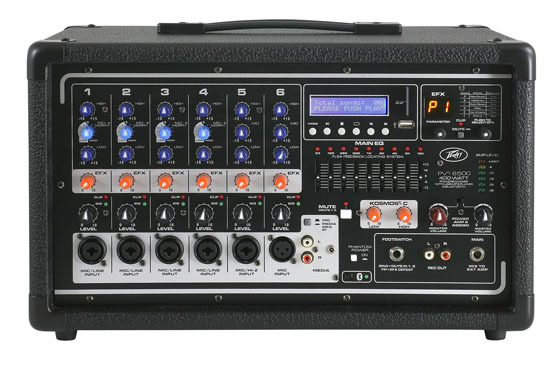 The UNITY DR16 also allows you to record audio of the stereo mix to a connected USB drive. 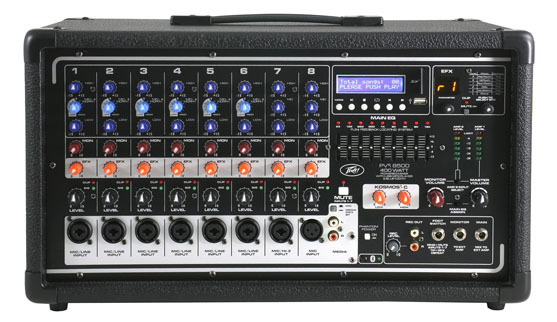 Our most rugged, lightweight powered audio mixers ever! 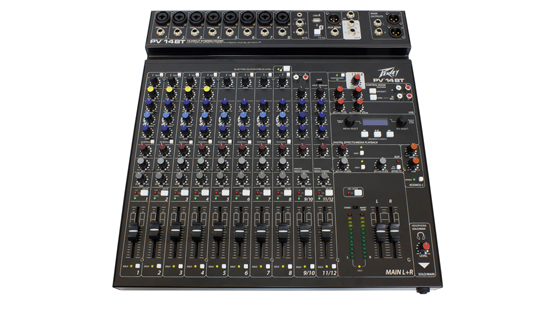 From the company that invented the modern top box audio mixer comes the completely redesigned XR series of powered audio mixers! 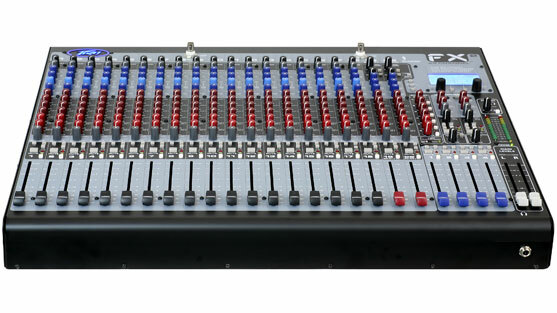 Loaded with tools for perfecting live sound reinforcement, the all-in-one XR Series powered audio mixers include everything a musician or DJ needs. 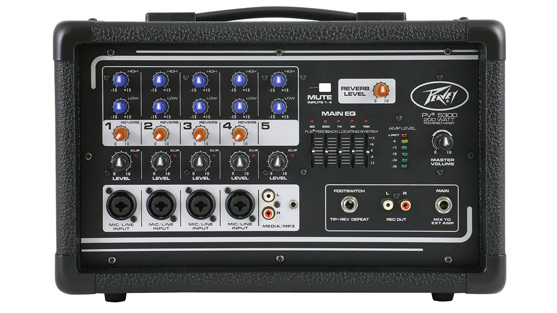 Peavey's exclusive Mid-Morph accurately improves tone and vocals and Kosmos-C technology drastically enhances the low end of the spectrum, while our revolutionary FLS Feedback Locating System quickly and easily identifies and removes feedback. 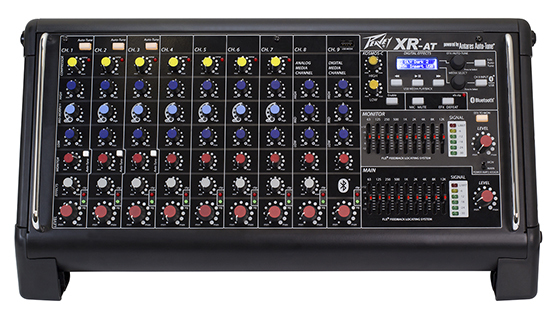 Plus, for the first time ever, the XR-AT powered audio mixer includes the world famous Antares® Auto-Tune® pitch correction technology! Pro Features Made Affordable, All in a Heavy-Gauge Steel Chassis. 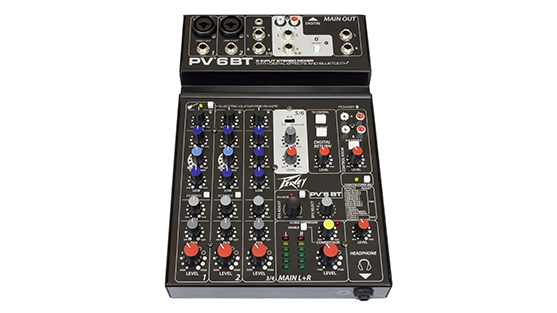 Multi-use PV® Series audio mixers feature discrete, ultra-low-noise microphone preamps that are essential for live-sound reproduction and studio recording, plus a host of additional features such as effects and monitor sends on each channel, zero-latency record monitoring capability and 48 volts phantom power. 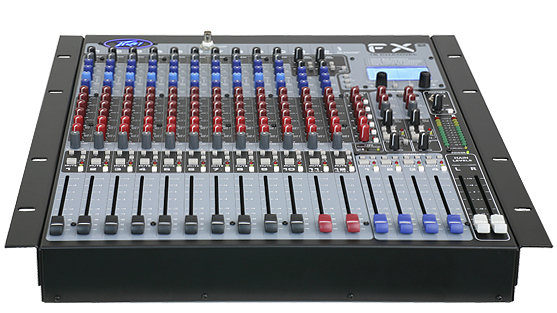 The new FX2 audio mixers features twice the processing power of the original. 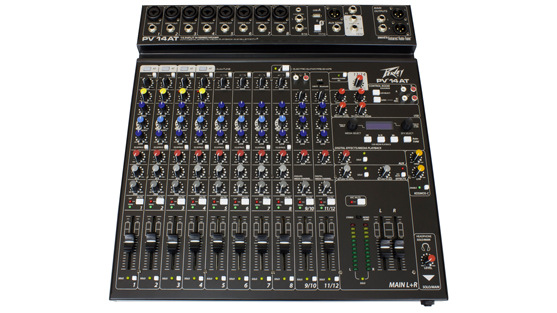 FX2 Series audio mixers feature new, Peavey-exclusive technology to enhance live sound reproduction and project studio recording, including Silencer mic preamps, which allow very high gain with low noise and distortion for crystal-clear signal reproduction. 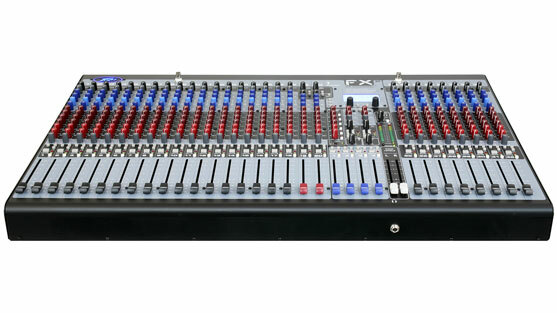 The four pre-fader auxes per channel provide four monitor mixes, while the two post-fader auxes are ideal for adding effects (built-in or outboard). 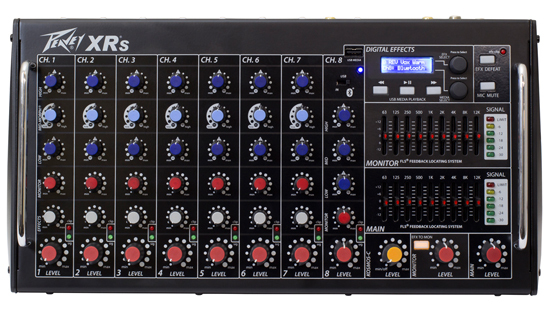 These mixers also include dual DSP engines that allow multiple simultaneous effects assignable to any channel via aux 5/6. 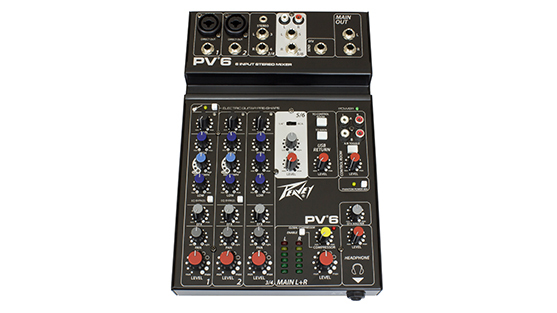 The PV® Series portable audio mixers has provided amazing performance and value to countless musicians in a wide range of applications. 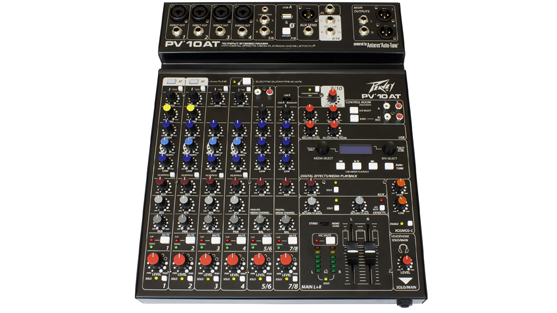 The PVi Series of mixers carries on that tradition with two economical multi-channel powered mixers loaded with features for spoken-word, performance and pre-recorded audio reinforcement.